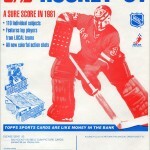 For a third year in a row, Topps released a 198-card hockey set. 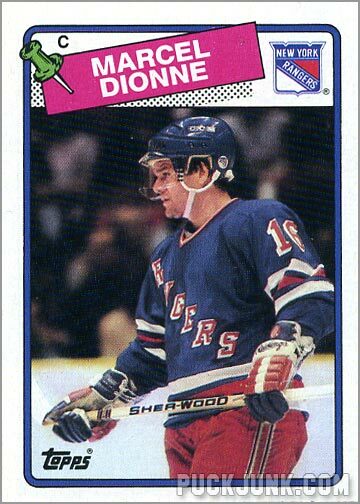 The 1988-89 Topps Hockey set featured bright colors, quirky design elements and some good rookie cards too. It also used a press conference photo for the first time. 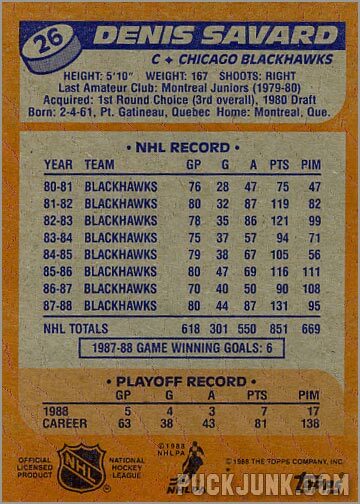 Like the two Topps sets before this one, the 1988-89 release features 196 player cards and 2 checklists. Since it was sold in the United States, the focus is heavy on the 14 U.S. teams. 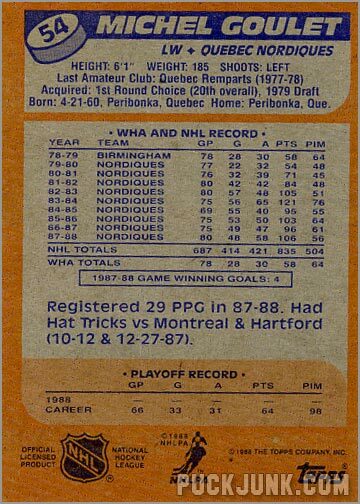 American teams get around 8 or 9 cards each, while teams from Canada get around 4 or 5 cards each. 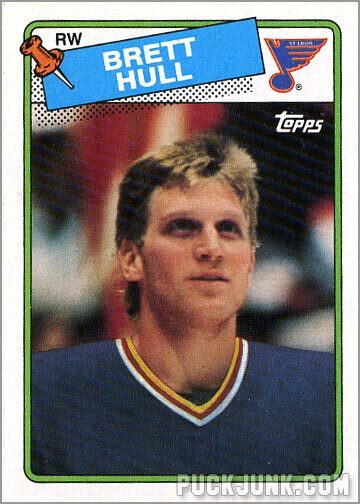 The most notable rookie card in the set is Brett Hull. 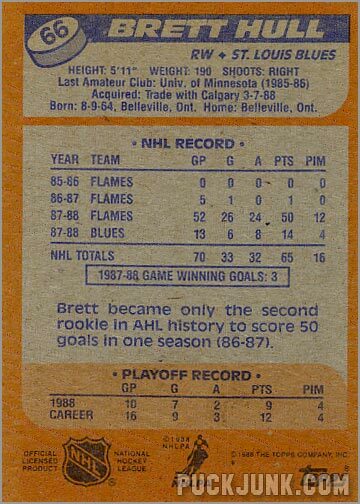 Unfortunately – or fortunately, depending on how you look at it – Hull’s card was double-printed, meaning that his card (and thus the set) doesn’t sell for nearly as much as its O-Pee-Chee cousin. 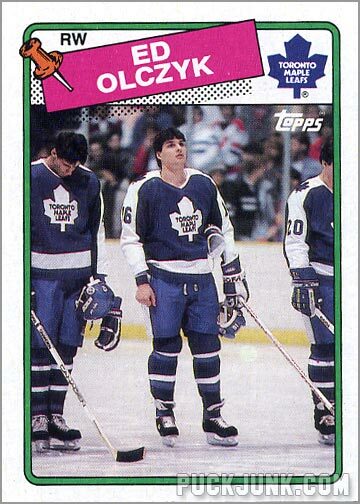 Other good RCs in this set are Joe Nieuwendyk, Pierre Turgeon, Brendan Shanahan, Sean Burke, Steve Duchesne and Bob Probert. 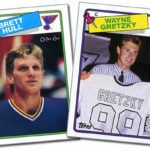 Another interesting thing about the 1988-89 Topps Hockey set is how it dealt with the August 1989 trade of superstar Wayne Gretzky. 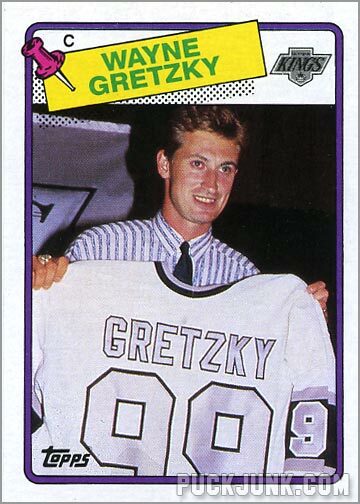 Topps could have put a bit of text on the front of Gretzky’s card saying “Now with Kings.” Or they could have airbrushed a Kings jersey over his Oilers sweater. 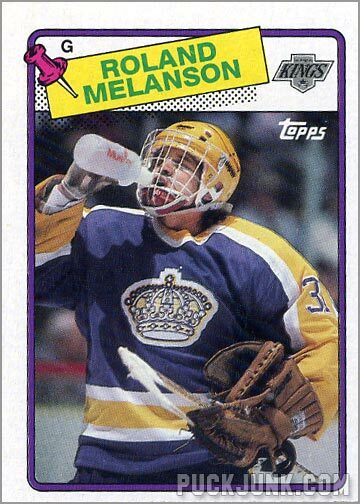 Or they could have done both, like O-Pee-Chee did to poor Mike Krushelnyski. 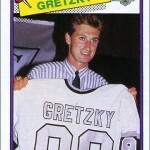 Instead, Topps did something unheard of at the time – it used a press conference photo of Gretzky holding up the newly-redesigned L.A. Kings sweater. 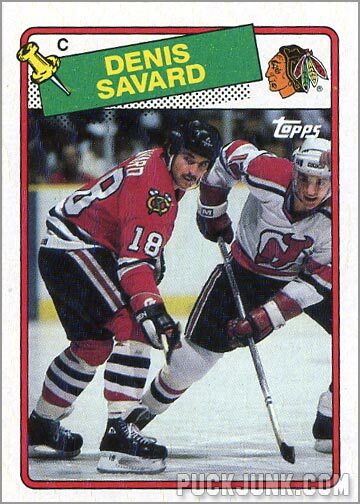 Considering that Topps Hockey cards were usually released in October each year, this was a good solution that would set a trend for years to come. (The 1989-90 Hoops Basketball set used a press conference photo of highly-touted prospect David Robinson, since he hadn’t played an NBA game yet. 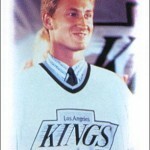 Over the next two decades, press conference and publicity photos would be used quite frequently for players changing teams in the offseason). 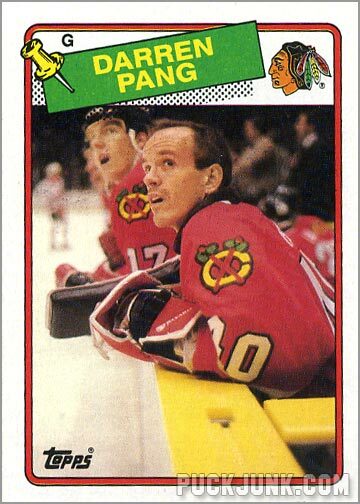 Bright colors punch-up the design of the 1988-89 Topps set. 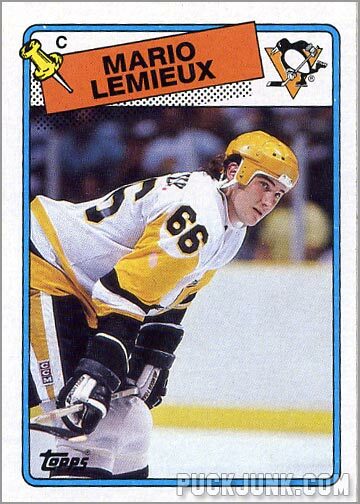 At the top of the card is a colorful push-pin – quite an unusual design element for a trading card – that “pins” a day-glow colored rectangle bearing the player’s name. 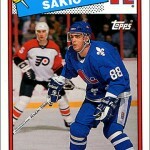 A dotted drop shadow emanates from the rectangle and onto the player’s photograph. 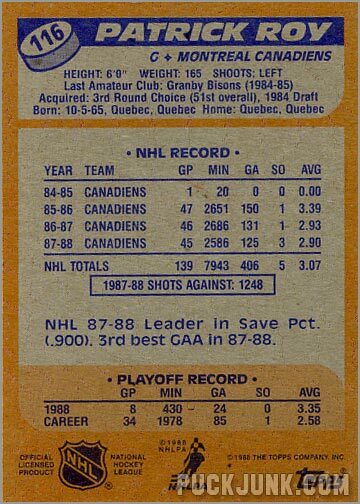 Also at the top are the player’s position and the team logo. 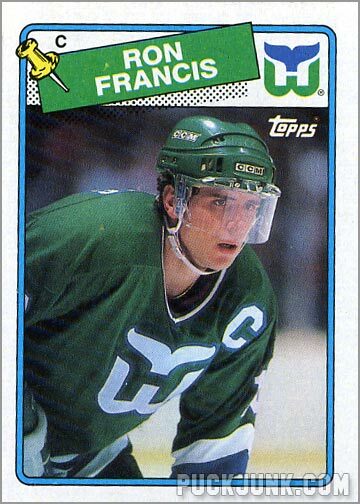 Surrounding the design is a vibrant border – much like bright neon piping around the window at a hair salon, circa 1988. The prominent use of the pushpin, drop shadow and bright colors make the set feel unserious. 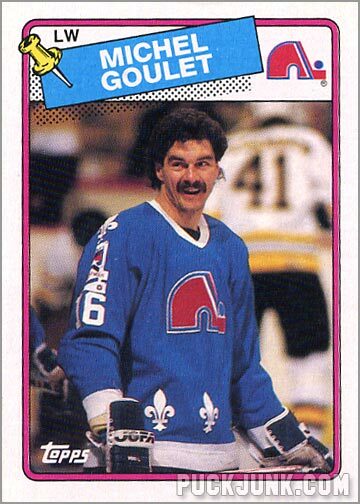 You’d expect a design like this to be used on trading cards for something like The Simpsons or Pee-Wee’s Playhouse. But all of this silliness actually makes the set feel, well, fun, also giving it a decidedly “Eighties” look. 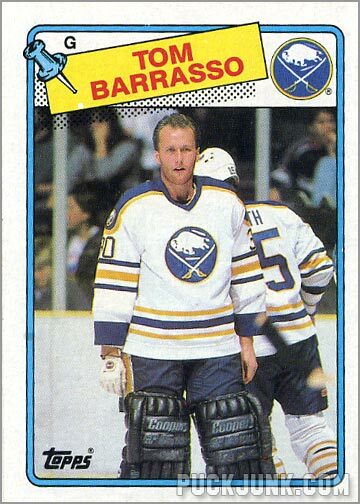 And we all loved the Eighties, right? 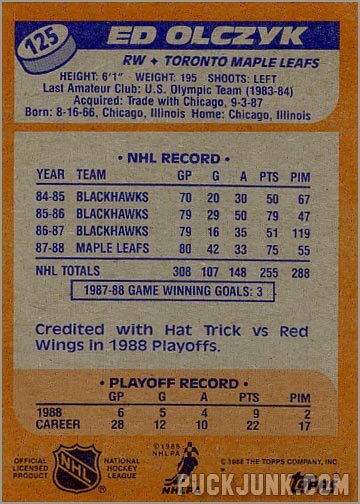 In typical Topps fashion, everything you’d ever want to know about the player is squeezed onto the back of the card, including complete year-by-year statistics, last year’s playoff stats, height, weight, how acquired and so forth. 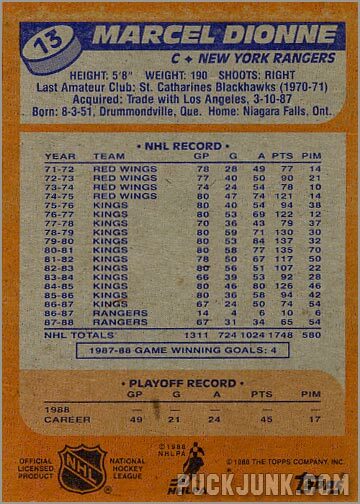 Of note are two particular bits of biographical information: “Last Amateur Club” and “Home.” Topps used to mention what the player’s last team was before they turned pro, as well as what city they live in during the offseason. 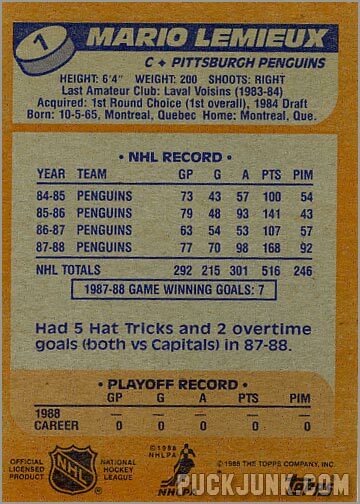 If Topps could fit all of this information on the back of a hockey card 20 years ago, why can’t newer companies like Upper Deck at least include a player’s complete statistics? 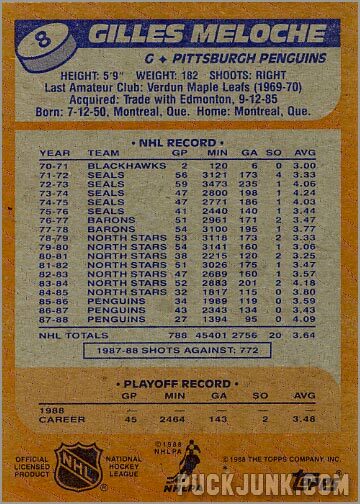 Sure, the Topps set has 66 less cards than its O-Pee-Chee counterpart. 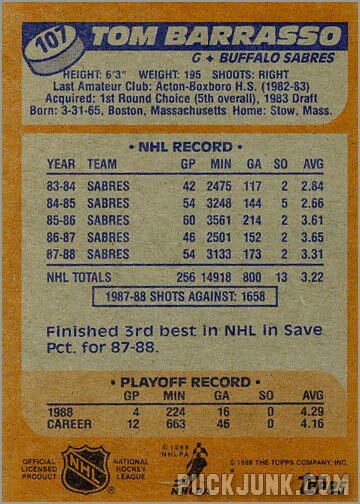 It is still a good set to own-if for any reason because of the Gretzky card, which uses a different photo than the OPC set. The design is colorful and fun, and yet not too cluttered. 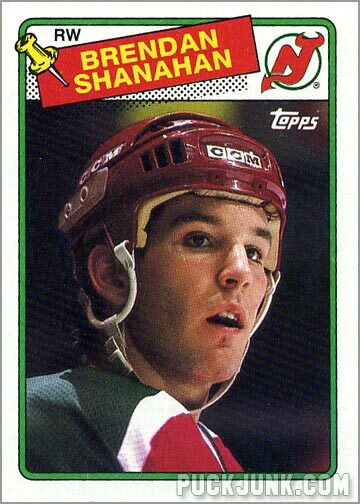 Rookie cards of Hull and Shanahan also make this a worthy add to any hockey collection. Here are 10 cards that are interesting for one reason or another. Nice article Sal! 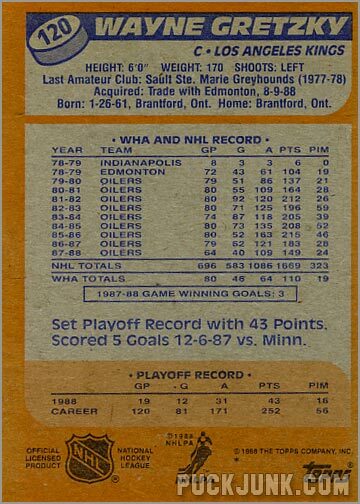 I didn't care much for this set when I collected it back in the day (OPC version here in Can) but those push pins definitely take me back to a simpler time. 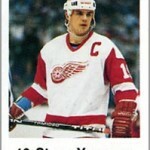 I have a couple of Hulls and a Shanny from that set. 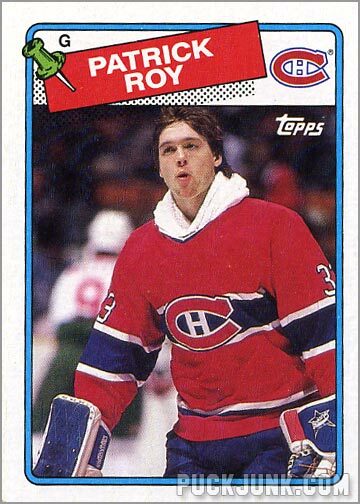 Always loved the Roy card with the towel/hoody around his neck – too funny – like a fighter going into the ring! 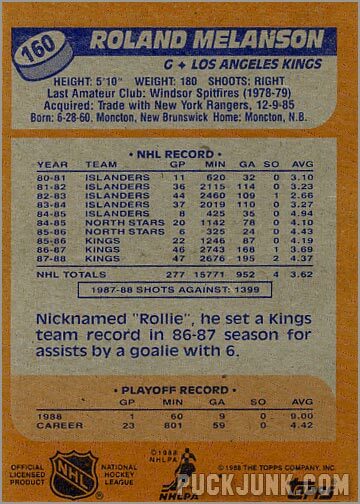 You know, that might actually be a towel around Roy's neck. I just assumed it was a hooded sweater. 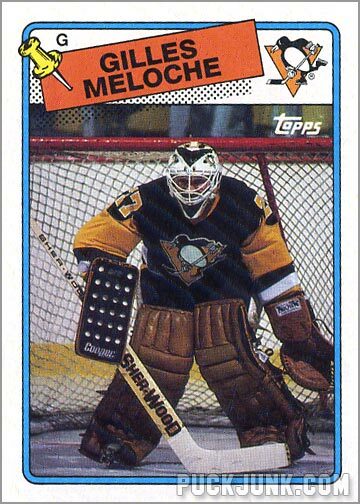 I remember Greg Millen used to wear a hooded sweater under his jersey when he played for Chicago, so I figured it was a "goalie thing" to do so.